SHAH ALAM: New aircraft in town. Airbus brought over a Brazilian Air Force C295 SAR aircraft to Subang this weekend to demonstrate the capability and the potential of the aircraft to Malaysian end users. Among the end user who flew on the are personnel from RMAF, RMN, Malaysia Coast Guard and the police’s Air Wing. The C295 was in Malaysia as part of its world tour which was part of its ferry flight from Seville, Spain to Brazil. In the region, the aircraft first make a stop in Thailand and Vietnam. After a four-day stop in Malaysia, the aircraft flew to the Philippines this morning. From the Philippines, it will fly next to South Korea before flying over to the Americas, with scheduled demonstration flights in Canada, US and Mexico before heading home to Brazil, where the aircraft will be based in the Amazon. The C295 was the first of two SAR aircraft ordered by Brazil from Airbus in 2014. Although Airbus hinted about Malaysian maritime patroller needs, company officials did not want to say anything specific on the issue saying that the matter would be best answered by the end users themselves. The Airbus advanced C295 maritime surveillance aircraft (MSA) has arrived in Malaysia as part of its two-week tour of Asia. The aircraft, which is on display at the Royal Malaysian Air Force’s Subang Air Base, is a brand-new production model recently delivered to the Brazilian Air Force. During its tour, the C295 will demonstrate its advanced intelligence, reconnaissance and surveillance (ISR) capabilities, as well as the platform’s versatility and suitability for potential operators, especially in the Asian region. The C295 offers a state-of-the-art mission system, lower operating and life-cycle costs and an earlier delivery schedule than its competitors. Its versatile cabin configuration allows easy and fast switching from one mission to another. It also features an endurance of more than 10 hours, high manoeuvrability, low-level flying capabilities, and a wide rear ramp. For Malaysia, this makes it the best option for maritime patrol and surveillance, protection of territorial waters, and anti-submarine warfare missions. In particular, the C295 can work with other military assets to gather and disseminate in real time information such as images, reports, and tracks that are collected during the flight. This makes it ideal for inter-agency cooperation within Malaysia, as well as potential joint patrols with the country’s neighbours. The Royal Malaysian Air Force (RMAF) also operates the CN235 transport aircraft, the C295’s predecessor. The commonality between the types potentially leads to an easy crew transition and even lower operating costs in the future. Airbus foresees a demand for 1,200 light and medium tactical aircraft worldwide over the next 20 years. The C295 is the leader in the sector with almost 200 orders since it entered service in 2001, and a 75 percent market share in recent years. Around 150 C295s are in service with 28 military and civil operators in 25 countries, as well as another 240 CN235s. Together, they have clocked more than 1.5 million flight hours. Brazilian Air Force C295 SAR aircraft. 17 Responses to "New Aircraft in Town"
I love This Aircraft, For me, I would Agered To Use This C-295 as a Maritime Patrol, Gunship and Transport. C-295MP Mostly has a Long Range Radar (If I Was Right). And Then, If We Get This Aircraft Could be Replaced The CN-235-100 and BT-2000MP. Marhalim, what do You Think about This ? I think this the best option for Malaysia to fulfill its MPA and msa needed. BTW it will heavily depends on gov budget. Just hope it can be realise asap. Which one will be more expensive to operate? An mpa based on a transport aircraft or based on business jet? Is the interior really that big? No lah, its about the size of an ATR cabin though the entry door is much lower as I had to bend over to get into the aircraft. The floor felt solid like Hercules and A400M, an obvious trait of an airlifter. How much is the cost of each C-295 SAR? It depends. Usually a small turboprop is the most economical. Big turboprops like the atr-72 is usually a bit cheaper than business jets, but the differences is small. But then there is the performance. Flying endurance (in hours) is one thing, but range is another performance number that is rarely compared. Lets compare ATR-72 with Challenger 605. Both in MPA guise have an endurance of around 8 hours. But the ATR-72 has a range of around 1000nm, while the challenger 605 is 2500nm. That means the challenger 605 can fly to a further point than an ATR-72 to patrol. For one, a jet” will consume more fuel. Jets also tend to be more maintenance intensive than prop driven platforms. Each has it merits. A jet can fly higher and get to where it needs to faster. On the C-295, it’s indeed a good offer and by the looks of it some have gone ga-ga over it BUT until we really do a proper evaluation and compare it to say MPA configured CN-235s and ATR 72s [based on the actual performance of the aircraft, the sensors/electronics fit, how maintenance intensive each are, hourly operating costs, the price of spares, price tag after the training and spares package is taken into account, etc, etc] we can’t say for certain whether the C295 is indeed ”better” or ”the best option for Malaysia” ………..
For anyone interested in the how P-3s operate and the many uses a MPA offers I really recommend Googling ”Confessions of a U.S. Navy P-3 pilot”. He took part in preventing a pirate attack on a Malaysian ship and has interesting insights on the P-3; describing it as ”demanding” to fly. He also shares some thoughts on the P-8. Any firgure from RMAF on the number of MPA they hope to have and estimate of what the government can afford in these two Malaysian plans? No figures on both though I assume they would like to have at least four aircraft based on the number of MPA they used to have, the Beechcraft. More is of course better. Jet does not consume more fuel, when fuel consumption is normalized by fuel burn/hr/mi. Turboprop with the need for gearbox is inherently more labour intense to maintain, where jet aka turbofan needs only boroscope and oil change before 4000FH. Simple comparing an ATR to Challenger makes no sense and waste of time. At equivalent power, turboprop is more fuel efficient than turbofan in all flight phase, further amplified by variable pitch props, which is why people says it is cheaper, when the ferry range is less than 450 nm or less than 1.5h flight time. Turbofan shines at longer range because wear and tear aka the cost is a function of operating hour. By this definition, turbofan OEM offering PBH will benefit their operator. This kind of comparison is what you get from google and is based a transportation mission profile. To put that in context for a loiter mission, if the point of interest is within 250 nm from base, endurance is key and the rest of it is trivial then a turboprop it is. For point of interest beyond that, as endurance is a function of time turboprop would had been wasting time on en-route and return which cancels off the endurance, and by PBH operator is simply paying more for lesser aircraft. vice versa, if point of interest fixed at 250 nm or less, where the patrol radius is applicable to a turboprop equivalent, then using a turbofan is simply paying for more traveled distance for the same endurance. That being said, if turboprop it is, CN-295 will be able to carry the benchmark equipment. Cheaper options will be trade off for equipment. And peace time defence need is like insurance. How much protection one needs is a function of how much one can afford. It is a fact until there is immediate threat which is quantifiable. Thailand has just confirmed additional orders of KAI T-50TH. 8 KAI T-50TH for usd 258 million will join the earlier 4 T-50TH ordered by RTAF. The T-50TH is almost to FA-50 spec, fully combat capable and equipped with radar. It is not simply paying for more travelled distance for the same endurance. More travelled distance = larger patrol area for the same endurance. MPA is mostly based in Subang and detachments to Labuan. Flying from Subang to say Melacca Straits northern approaches above Langkawi, or Labuan to ESSCOM areas; the transit range would easily be around 300-400nm from base. If using medium turboprops the time on station would be reduced significantly. The MPA squadron is based in Labuan now with one aircraft based in Subang for training and maintenance. Indeed, which is why I’ve kept pointing out that there is no need and no intent on the part of the end user to fit future MPAs with a ASuW or ASW capability as that will drastically drive costs up; plus it’s not a priority given our present requirements. ”How much protection one needs” or thinks one needs is a function of not only ”how much one can afford” but also of ones insecurities, threat perceptions and ambitions. 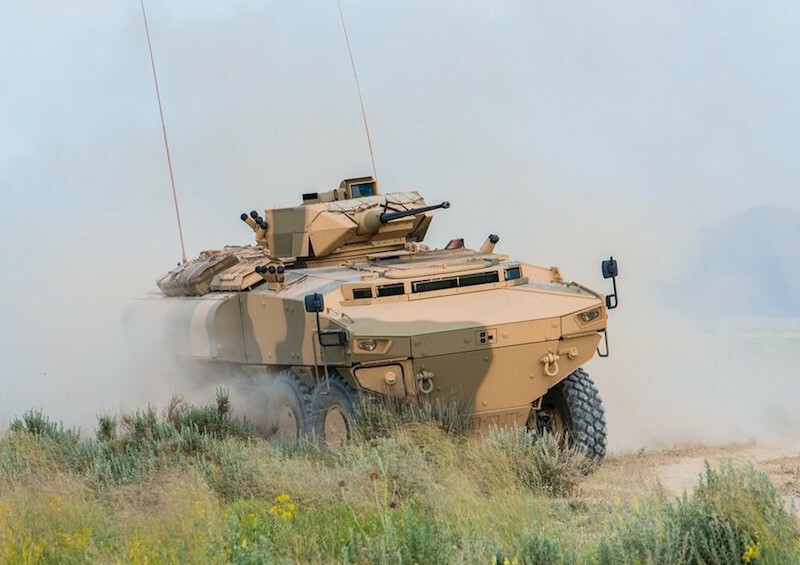 Oman has taken delivery of its first PARS III 8X8 APC. This makew oman the 2nd country to buy the PARS after malaysia. The contract is for 172 vehicles. Would a uav like the predator xp be use for mpa mission? Yes, check out the MPA posting. What part of the story have we not covered here? A year ago, during DSA 2016 the same guy wrote that the JF-17 was selected for the MRCA program. Just posting it here as a reference for later. The Brazilian original contract for the C-295 SAR aircraft was usd 214.2 milion for 3 aircraft, including 5 year service support package. That gives a single plane cost of usd 71.4 million.